What is Mobile Ordering & Pay? 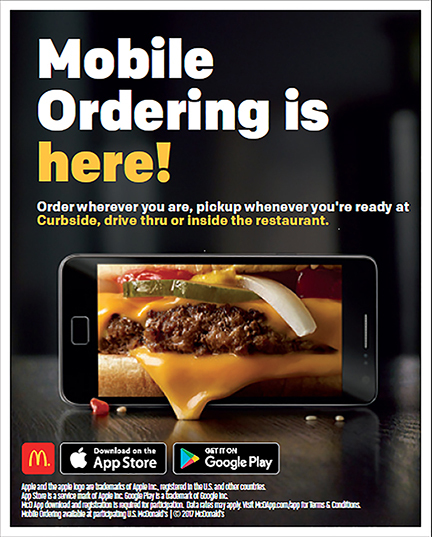 Mobile Ordering is another feature of the McDonald’s® Mobile App. Customers can browse the McDonald’s® menu, place an order, save their favorite items, orders and locations, as well as pay for their order with their phone. Mobile Order & Pay provides the customer choice and control of where and when they pick up their order.